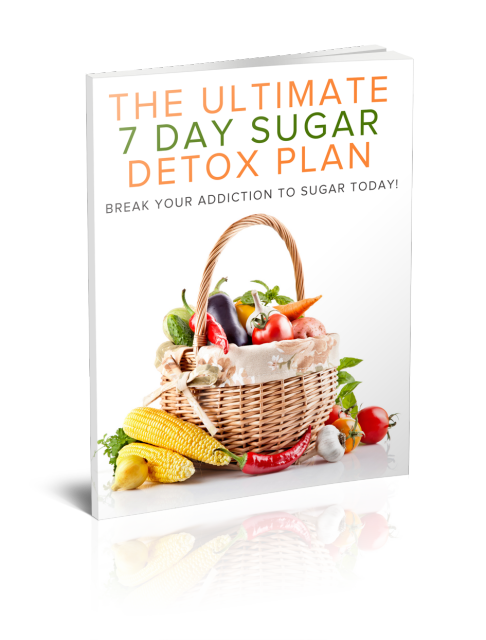 This is an easy area to change in your life - drink this instead of health-destroying beverages. Our body is made up of water, and we need to keep our fluid levels up. We are 65% water and the fluid in our body helps maintain an even temperature. Water also helps to maintain the blood viscosity, transport oxygen, and transport waste out of the system. We need water to take nutrients to the cellular level and provide better balance within the body. The powder dissolves easily in water and is delicious hot or cold. My favorite drink is Peach and this healthy drink also comes in Raspberry, Cinnamon, Lemon and Regular.Fortune Delight is a high-quality beverage to drink. Higher benefit than water alone to get to your cellular level. Camellia Extract, Chrysanthemum Flower Extract, Jasmine Extract, Lalang Grass Root Extract and less than 1% natural flavors. These Chinese Herbs are healthy whole foods - like raw foods and beverages - juiced and dehydrated. 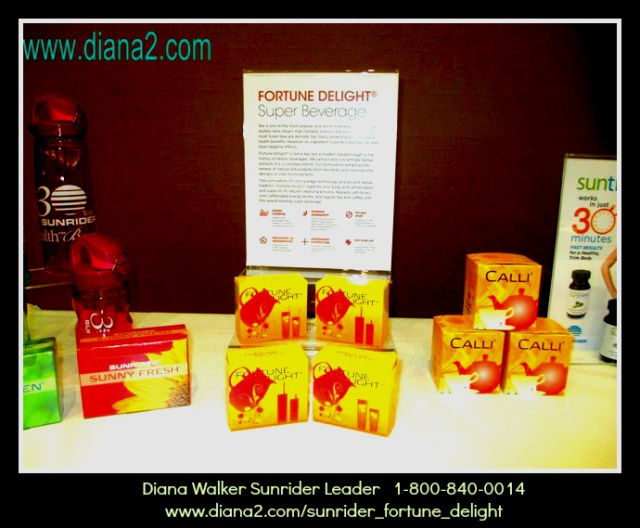 Founded in 1982, Sunrider is the world's foremost provider of Chinese herbal foods. Dr. Tei-Fu Chen, owner and CEO of Sunrider International, is a leading expert on Chinese herbal foods. Most owners hire other people to develop their products, and often they hire other people to package them , which is a practice known as private labeling. Dr. Chen's unique upbringing and education have given him a treasure-trove of knowledge and technical expertise that he personally built into the Sunrider foods. The foods are a legacy he inherited from his grandfather, who first taught him about herbs. He is committed his life to that legacy, and the quality of the foods and beverages reflects the strength of that commitment. Few companies, if any, can make such a claim. This is Diana Walker's favorite drink every day all day long, and is similar to Calli herbal beverage - It provides antioxidant benefits and promotes the body's natural cleansing processes. 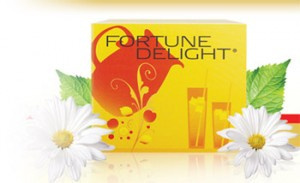 Fortune Delight consists of concentrated food grade herbs, comes in powder form and has virtually zero calories. Fluid intake into your body is a key element. Welcome to a World of Vibrant Health! 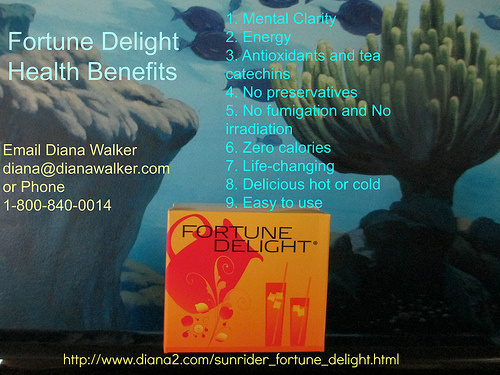 Sunrider's Fortune Delight Document I start my day with Calli Tea, and then continue drinking Fortune Delight the rest of the day. Health isn't everything, but everything is nothing without health! Subscribe to Diana's Healthy Lifestyles here. I am so fortunate to have Colleen Ceton as my guest speaker last week on my TeleClass. You can listen to the 30 minute audio below, or you can download the audio to listen to it later. I will be keeping this up on my website for about 4 weeks so if you want to listen, do so now before I put this in the archives!